…or Jordan Peterson talks to Roger Scruton. Depends on which you were more familiar with first, I guess. I’ve admired Sir Roger Scruton for some time. He’s the most eloquent and thoughtful voice advocating a Burkean conservatism rooted in tradition, prudence, and pietas today, and I owe him a debt for the influence he’s exerted on my own philosophical and—only secondarily—political thinking as I’ve matured. Jordan Peterson I’ve only “discovered” in the last year (as I’ve joked about elsewhere, my first awareness of him was Amazon’s autocomplete while searching for my own books), but I respect him for his intellectual honesty and genuine concern for human flourishing and the truth. While in many ways different men—one an English philosopher of aesthetics devoted to Burke and Kant, one a Canadian clinical psychologist influenced by Jung and Nietzsche—their thinking has several important points of convergence. Last month, the Cambridge Centre for the Study of Platonism hosted this conversation—entitled “Apprehending the Transcendent”—between philosopher Scruton and Peterson, and it’s those points of convergence or overlap that provide their starting point. In a wide-ranging chat, Scruton and Peterson talk about what “the transcendent” is; the factual and the meaningful; the hermeneutics of suspicion pervading humanities programs; the obsession with power, privilege, and identity that undermines normality, tradition, and the ability of people to relate to and cooperate with one another; the transcendent power of art and especially music; cultural appropriation; and much more. The latter half of the discussion touches on topics especially near to my heart, including teaching the humanities and the Western tradition as an act of love for one’s students, how to recover a shared understanding of ourselves as all commonly dependent on the transcendent, and the importance of gratitude to… everything. After all, to take it back to Cicero, as I am wont to do, gratitude “is not only the greatest of virtues, but the mother of all others.” Without mentioning Cicero, Scruton and Peterson both elaborate on that theme at some length. Check it out for yourself—it’ll be worth your while, particularly if this will be your introduction to one or both of them. Giorgio Tsoukalos on The History Channel's Ancient Aliens. The pose that launched a thousand memes. This morning I read a very interesting essay at The Atlantic in which the author, after summarizing some widespread beliefs, related scientific data, and modern attempts to reconcile the data with the beliefs, recounts wrestling and coming to terms with his unbelief—in extraterrestrial intelligence. Aliens. Earlier this year, a group at the University of Oxford released a paper arguing that our knowledge of the universe and of math should lead us to assume that intelligent life is most probably an extremely rare event, depending on a series of fortuitous circumstances . . . that are so unlikely as to almost never happen. Humanity shouldn’t be surprised that we haven’t found aliens, because most likely there aren’t any. This is a realization I had myself some years ago. If, as we are often assured, the chance of intelligent life evolving anywhere is so infinitesimally small, the odds so impossibly long, then how can we assume it has happened more than once? But this is, in fact, what a lot of people will say if asked about extraterrestrial life. It's become a platitude: "The universe is so big there just has to be other life out there." Some people even take such questions as an opportunity to show how very 'umble they can be, by turning the question back onto ourselves: "I think it's arrogant to believe we're alone in the universe." But if you accept the premises above—the vast and dangerous complexity of the universe, the fragility of the conditions where life could emerge, and, given everything else, the long odds of life actually appearing and evolving—you must return to the question: If we're alone, now what? That's the question that animates Clune's essay, and I recommend reading it. But it was an offhand expression, not even an argument or line of thought, that caught my attention near the end, in this line from the conclusion: "Now looking back on that moment from the perspective of the Oxford study’s revelation, I wonder if giving up gods and aliens will lead people to the weird singularity of the human mind." Gods and aliens, lumped together. This follows from Clune's introduction, in which he posits religion as an earlier, now outmoded attempt by humanity to find a cosmic Other with which to communicate and through which to understand ourselves and our place in the universe. I don't know anything about Clune's religious beliefs—if he has any, and he seems to dismiss religion, albeit gently, in his essay—but I am religious, and this passing turn of phrase affirmed something about belief in aliens that also occurred to me some time ago: Belief in aliens is a substitute religion, and aliens are substitute gods. You don't have to dig far or be intimately familiar with believers to see this, and once you've had that realization, you can't unsee it. Enthusiasts of spiritual esoterica and belief in aliens have a religious fervency and conceive of aliens in very religious ways: guides, protectors, sometimes even creators. The premise of everything from Ancient Aliens to 2001: A Space Odyssey is that aliens are responsible for the greatest human achievements, the greatest human wisdom, and the greatest historical leaps forward. Alien encounters almost always take the structure of a religious experience, so much so that some of the believers who have gone farther down the rabbit hole speculate that religious experiences are in fact alien abductions. The "kinds" of close encounters pretty clearly mirror the kinds of religious experiences people have, whether simply seeing a miracle, having visions, directly encountering saints or angels, more intense encounters that leave physical marks, and, the most awesome of all, being caught up into the heavens for a beatific vision. These encounters change the often unwilling witnesses and they long to reconnect with the intelligences that came to them. One of the most famous alien abduction books, which you may remember being repeatedly shilled on Unsolved Mysteries in the early 90s, is even called Communion. One way to view these correspondences is as two iterations of the same nonsense, the attitude Clune, more tactfully, seems to assume in his essay. 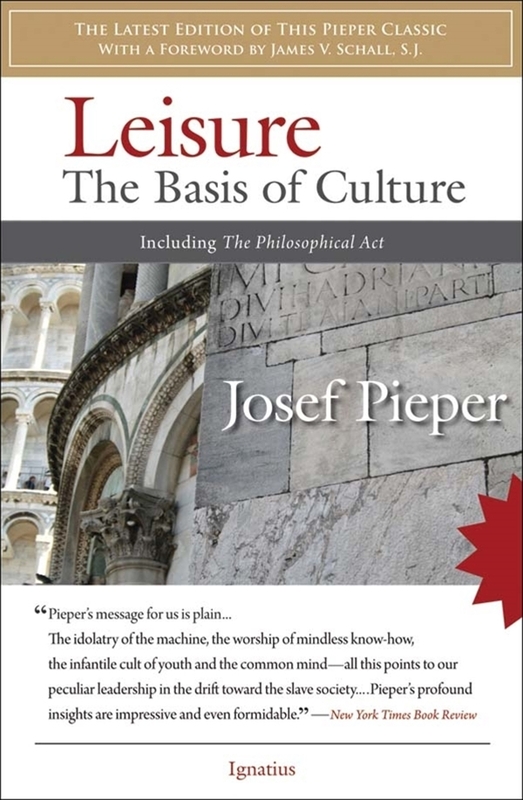 As he writes, "human culture never left the non-secular world behind." Aliens and belief in them "were just a modern version of religious literature." The old temples aren't being torn down; new ones are going up. Whether it's aliens (but I'm not saying it's aliens) or abstractions like humanity, spirituality, nature, Progress or, the ultimate abstraction, the Universe, new gods are crowding in with the old. And aliens and God are hardly mutually exclusive—there are embarrassing Christian spins on all of these things. It may be the most widespread but least noted form of modern religious syncretism. Which brings me to my point. I do agree with Clune to an extent, especially about the non-existence of alien life. But I disagree that belief in aliens is simply one more sincere but vain attempt to find meaning through false mythologies; I think belief in aliens bespeaks a deep human need to believe that has gone awry. As CS Lewis put it in an entirely different context, "spiritual nature, like bodily nature, will be served; deny it food and it will gobble poison." The answer to UFOs isn't to give up faith in every transcendent belief system as equally erroneous, but to take away the poison of conspiracy theory and substitute truth. That, as it happens, is the path to meaning. Surprisingly for anyone who believes medieval people all marched in theological lockstep, in ideological thrall to the Pope, one of the most cherished methods of education during the Middle Ages was debate. This passion for debate included not only debates before audiences (but with considerably more intellectual rigor than our political "debates" now) but debates carried on by correspondence. Debate was, in a way, part of one's own education, as students often had to argue opposing sides of issues using set texts like the Sentences of Peter Lombard. This was the purpose of his contemporary Abelard's Sic et Non, which set conflicting opinions of the Church Fathers against one another with the student's task being to argue both sides and/or resolve the seeming conflict. Not everyone received Abelard's book enthusiastically, especially since Abelard burned a lot of bridges during his career, but such a project—using preexisting authorities, compiling glosses, adding commentary, and, throughout it all, debating—was typical of medieval education. Thomas Aquinas (1225-74) was himself no mean debater. As a student and teacher at the Universities of Paris and Cologne, he both hosted and participated in debates and wrote extensively in preparation for them. His Disputed Questions on Truth is one such work, in which Thomas introduces a controversial topic like predestination, knowledge, justification, or the relation between human choice and God's will, considers them from multiple angles, proposes his own answers, anticipates responses and answers those, and, via dialectic, works his way toward the truth of the topic in question. This format, the posing of thesis and antithesis in a disputatio, was itself a form of debate and mirrored the disputationes of the medieval university. Thomas wrote most of his heavy theological and philosophical work this way, including his magnum opus, the unfinished Summa Theologica, and his Summa contra Gentiles, apparently an apologetic work meant to help Christians both defend their faith and present it to Muslims in understandable terms. Thomas's use of the disputatio makes for incredibly tedious reading, but that reading will also be profoundly instructive if one sticks with it. It takes a serious amount of intellectual honesty and—to use a buzzword—empathy to work this way, presenting the strongest arguments of one's opponents rather than setting up armies of straw men to knock down. One has to respect one's opponents to work this way. It requires the virtue of charity. Thomas took debate seriously, especially when theological truth was on the line. One of the weightiest issues of his day was the Cathar heresy, a revival of the dualistic Manichean spiritualism of late antiquity. Briefly, the Cathars held that one's spirit is pure, the material world—including one's own body—was evil, and only by purifying oneself of attachment to the world and its attendant appetites could one be saved. (This heresy has by no means been expunged from modern Christianity, by the way. How many people do you know who look forward to release from "this body" and "eternity in heaven" instead of the resurrection?) The founder of Thomas's order, St. Dominic, traveled through the area of southern France where Catharism had most firmly taken root and repeatedly debated Cathar leaders. The controversy continued into Thomas's day. According to a famous anecdote, when Thomas was invited to a banquet with Louis IX, the Crusader king of France, he sat mostly silent through dinner, apparently lost in thought. Suddenly, long after the partygoers had gotten used to his silence, Thomas pounded on the table and shouted, "And that will settle the Manichees!" Supposedly, Louis had a secretary fetched so Thomas could get his idea down while it was still fresh. Loving your neighbor is loving God. So debate, but debate charitably, because bringing your neighbor to the truth is the loving thing to do. After all, that's what God is doing to us. Abelard offers an instructive counterexample. Famous for his arrogance, Abelard was seldom content to defeat someone in debate on points—he wanted an intellectual knockout. He tried to humiliate his opponents and pointedly criticized major theologians and philosophers, including his old teachers, saying of one that he was famous out "of long established custom" and not because of "the potency of his own talent or intellect." 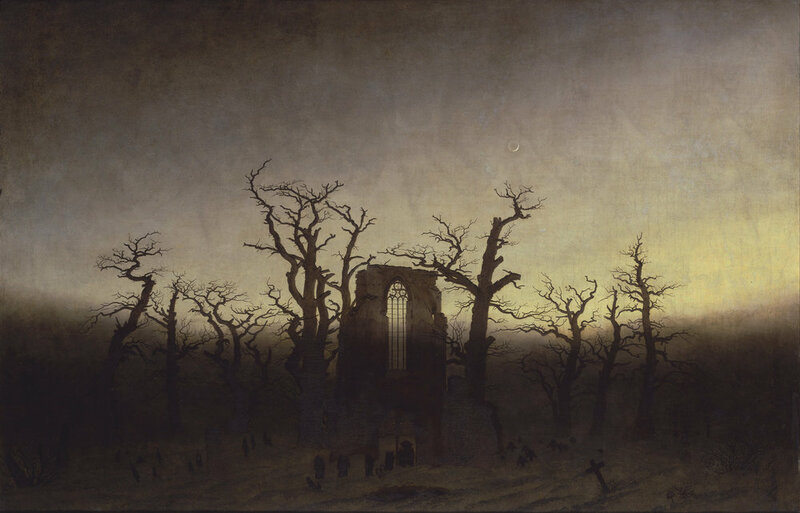 After impregnating a student, whose relatives caught and castrated him, Abelard fled to the Abbey of St. Denis outside Paris—until he insulted the abbot and fled again. For the rest of his life, he resurrected old controversies and picked new fights. Like Galileo, who also provoked most of the hostility he encountered himself by being rude and pigheaded, Abelard found himself accused of heresy and facing excommunication by the time he died. A number of Abelard's ideas, particularly his dabbling in rationalist deconstructions of the Trinity, would still have put him beyond the pale doctrinally speaking, but his reception may have been warmer—more forgiving, more charitable—had he practiced a little charity himself. I reflected a few weeks ago on the difference between quarreling and arguing. I think charity is the difference; it's the oil that reduces friction and overheating. We might be tempted simply to disengage, to shut off the engine, but that's a mistake. The truth is real and worth pursuing, and it's worth persuading others to join you in the pursuit—what's the point of debate if not to persuade? Charity makes debate, rather than screaming, tribalism, and virtue signalling, possible. Assume the best of your opponents, assume their good faith, and always give them yours. If we can learn anything from Thomas right now, we can start there. Kuehnelt-Leddihn is making this point to explain the failure of Karl Marx's theories to come true, the failure of Marxists once they come to power, and more broadly why revolutionaries tend to be bourgeois autodidacts or pure cranks rather than actual members of the classes they claim to represent. Those oppressed peoples–be they the workers, the peasants, or something else–are too busy in the real world for sloganeering. Plumbers rarely throw bombs at the Tsar's troops. College dropouts often do. And once they come to power, millions starve precisely because of this teething problem in their intellectual-real world transmission. I include myself in this word of caution. Work with the concrete. Avoid abstractions. Get out in the world and get dirty. It's good for your intellectual immune system. Magic is a wonderful little comedy that I read some years ago during a bout of depression. It deals with faith, reason, and skepticism on the scale of ordinary life. The most dramatic thing that happens in this play, in which characters furiously debate whether magic is, in fact, real, is a lamp turning on. With characteristically Chestertonian wit and humor, Magic insists on faith and reason, rather than faith or reason, and dramatizes the impoverishment of humanity when the two are opposed. But it's not a straight allegory or morality play; Chesterton leaves things ambiguous, including the very subject of the play. The other great fact which, taken together with this one, makes the whole work religious instead of merely philosophical is that other great surprise which makes Job suddenly satisfied with the mere presentation of something impenetrable. Verbally speaking the enigmas of Jehovah seem darker and more desolate than the enigmas of Job; yet Job was comfortless before the speech of Jehovah and is comforted after it. He has been told nothing, but he feels the terrible and tingling atmosphere of something which is too good to be told. The refusal of God to explain His design is itself a burning hint of His design. The riddles of God are more satisfying than the solutions of man. Magic has been revived a few times in out of the way places by fellow devotees of Chesterton. (Here's a review of a production from about the time I read the play.) It's never been staged anywhere close enough for me to see it performed, but I hope that will change someday. In the mean time, do check Magic out. It's a short three act play; you can easily read it through in one sitting. 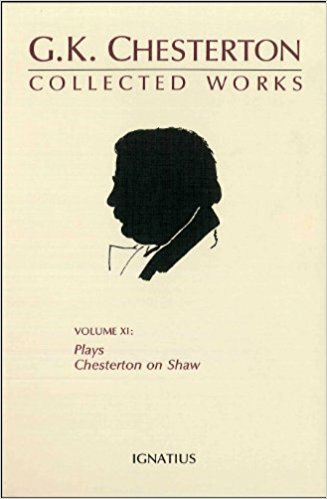 It's available free at Project Gutenberg and in volume 11 of The Collected Works of G.K. Chesterton, which is still a work in progress (at 37 volumes!) from Ignatius Press.